Asus India just launched Asus ZenFone Max in India. With the launch of this phone, the competition under 10K category becoming more tougher. Almost every phone in this segment seems to be better than each other. Asus latest offering challenging almost every phone with a unique high capacity battery which is 5000 mAh. 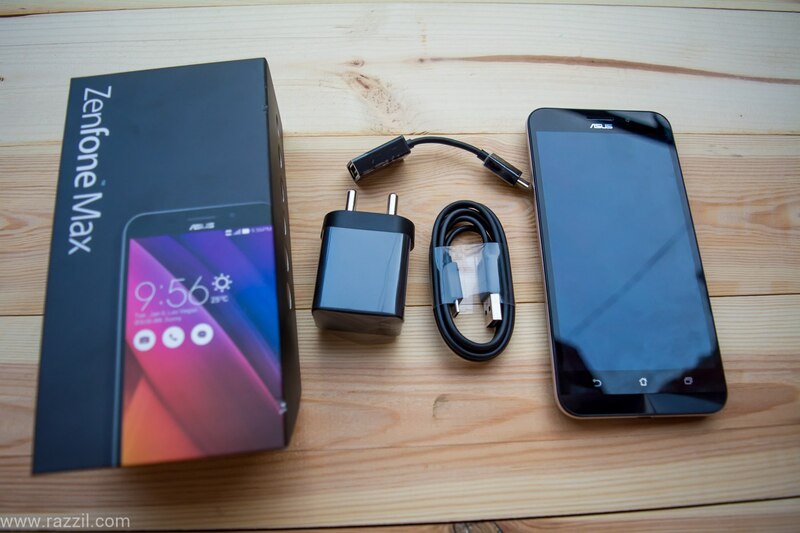 The Zenfone Max box consist an Asus Zenfone Max, standard charger, Micro USB cable and warranty manual. There is no earphone in the box. 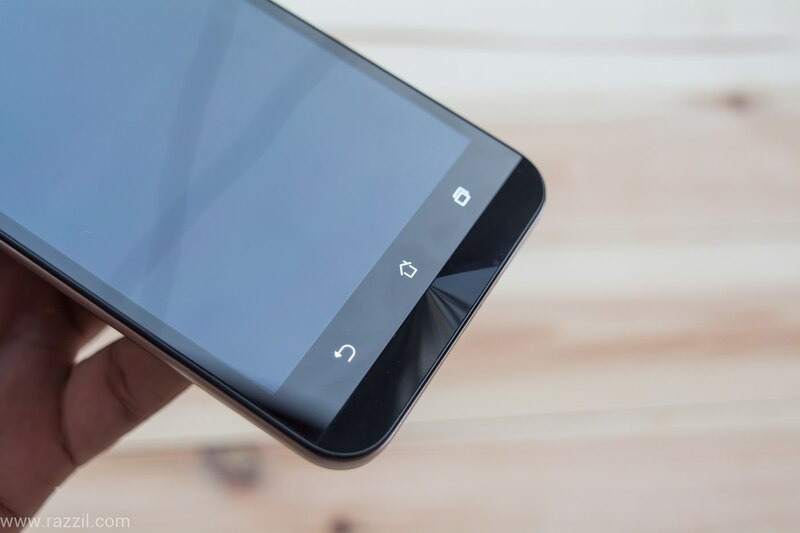 When it comes to design, the Max carries similar design as we’ve seen in another Zenfone series phone specially the Asus Zenfone Zoom. 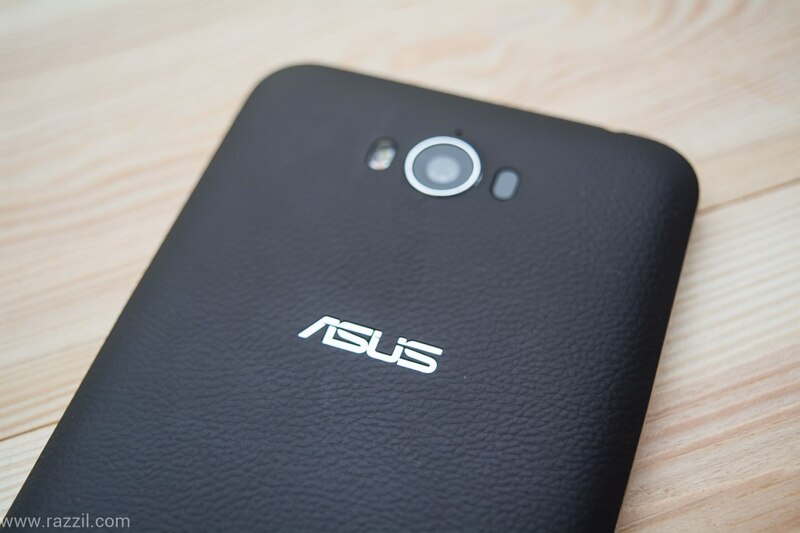 The Zenfone Max comes up with aluminum unibody frame with leather-like the texture on the back. This makes the device looks premium and also texture back cover provide good grip to hold the phone. Talking about the buttons, the power & volume button is on the left-hand side, microUSB port at the bottom, 3.5 mm jack on top, capacitive button at the bottom of the display and speaker on the back side. 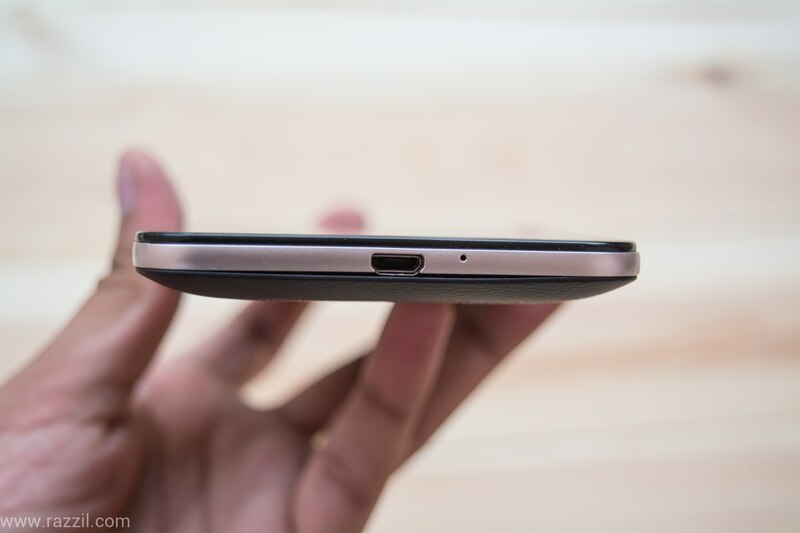 The back cover of the phone is removable, microSD card slot and SIM card slot is underneath the cover. You really need the courage to stand in front of your competitor with a plastic back cover where others offering the full metal body. 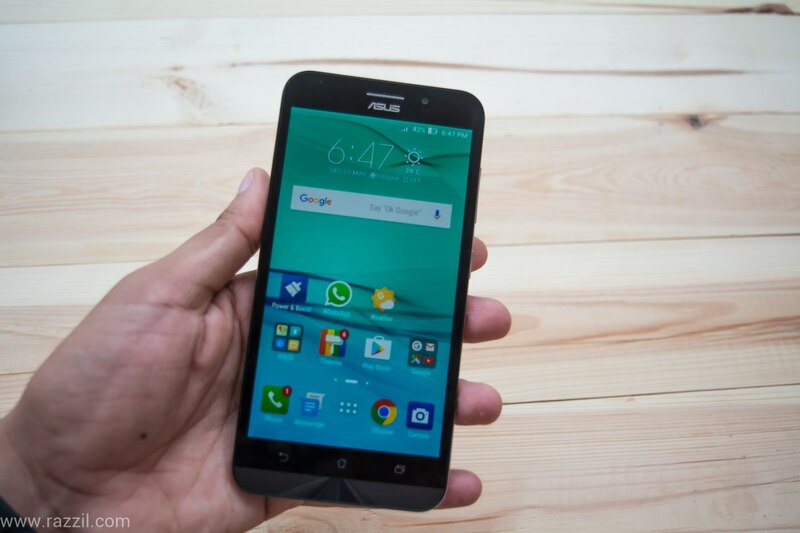 But I guess the Asus is not pitching the phone on design front but instead the phone with longer battery life. Because of high capacity battery, the phone becomes heavy and that’s reason no point to offering metallic body. 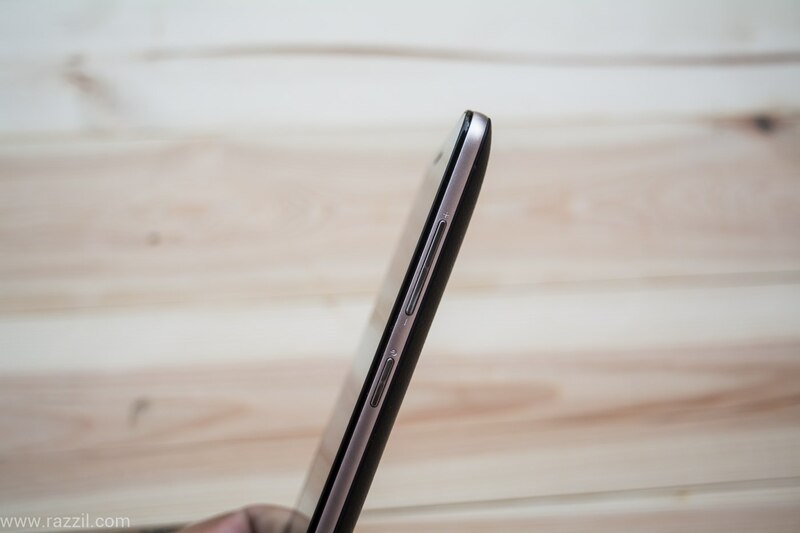 There is a curve on the back of the phone, the middle part is thicker as compared to edges. Talking about the display, the phone comes with 5-inch HD IPS Display with a resolution of 1280 x 720 pixels with 267 dpi. The detailing, sharpness and viewing angle of Zenfone Max is quite good and the colors are coming nicely. 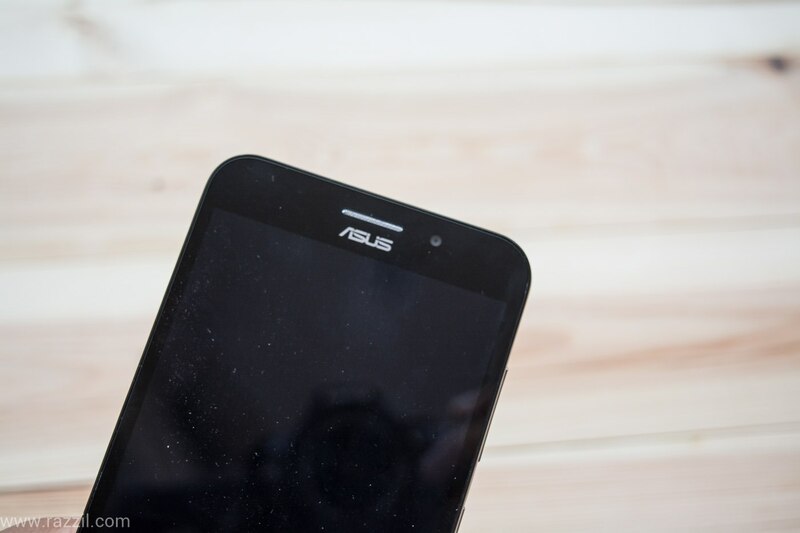 The Asus Zenfone Max is powered by Android 5.1 Marshmallow with Android UI on top. So I can safely say, for now, this is the only phone in 10K segment which offers Marshmallow out of the box. For some reason, the competitor decided to stay in past. Asus did brilliant work with their Zenfone UI, most of the time the phone perform smoothly but when running some heavy task, the phone lags slightly. Maybe that’s because the phone I’m using has 2GB of RAM. There is another variant which comes with 3GB of RAM. I’m using the phone for last few days and the phone never heated up during my test, it does lag but no heating problem. 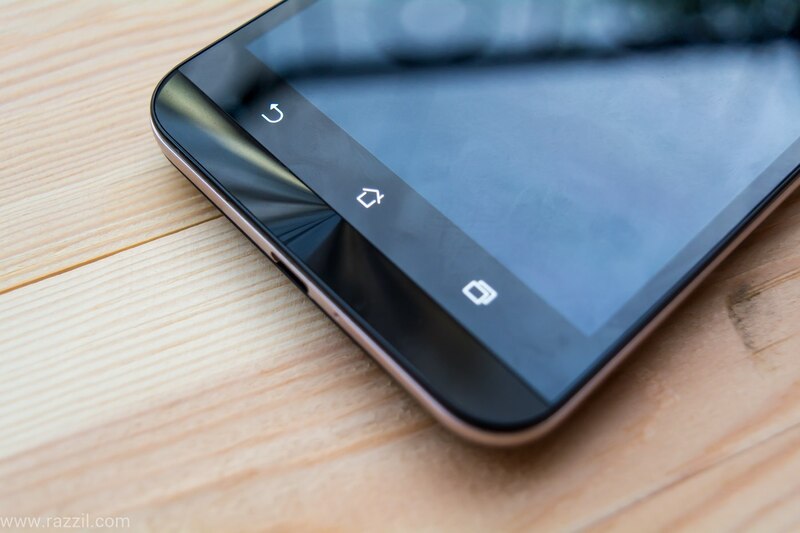 The phone comes with Qualcomm Snapdragon 615 process with 2 GB of RAM (3GB RAM Variant is also available). The phone is optimized with ZenUI but it seems 2GB of RAM is not enough. Most of the time, the phone work lag free. However, sometimes the phone freeze and you can’t perform any action on the phone. Both buttons & touch stop working, to come out this situation I’ve restarted my phone. The incident happened with me around 4-6 times. The camera also takes the time to get ready for the shoot. Avoid getting phone with 2GB of RAM in 10K Segment to avoid the UI freeze, system crash. 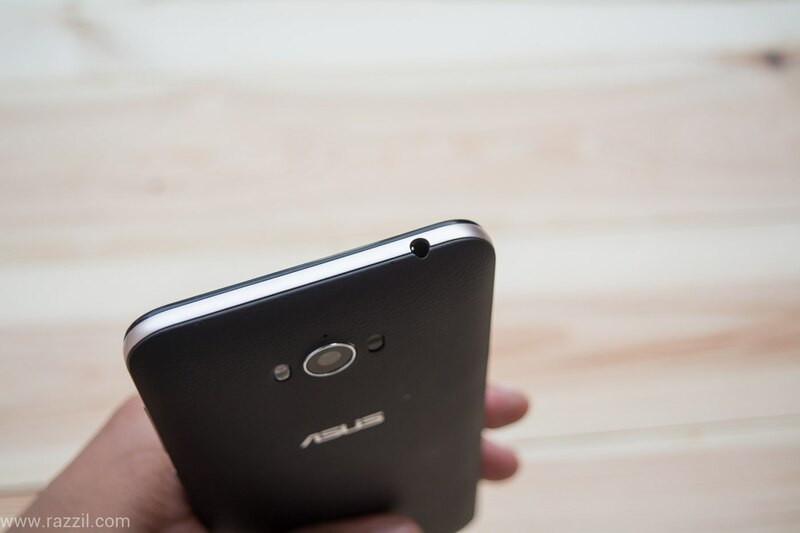 Asus Zenfone Max has a 13MP main camera with f/2.0 aperture, dual LED flash and PixelMaster 2.0 technology. The camera produces a decent result in both daylight and low light conditions. The pictures are sharp and produce vibrant colors. The camera comes with Laser Auto Focus Technology but I noticed that phone struggle to focus on the subject under low light conditions. I guess they’ll fix this in the upcoming update. The Low Light Motion will switch your photo resolution to 4:3 ratio. So if you’re a fan of landscape photos and they may be you’ll not going to like this. On the front, it has 5 MP camera with f/2.0 aperture and 85° wide-viewing angle. The wide angle lens helps you to capture a wide-angle selfie with your friends. The front camera comes with some modes to enhance your selfie, for e.g. Beautification, Selfie Panorama, HDR, Night, timelapse, low light and GIF animation. The Asus Zenfone comes with 5000 mAh which doubles as a power bank. In the box, you’ll get a USB OTG cable which helps you to charge other gadgets using your phone. 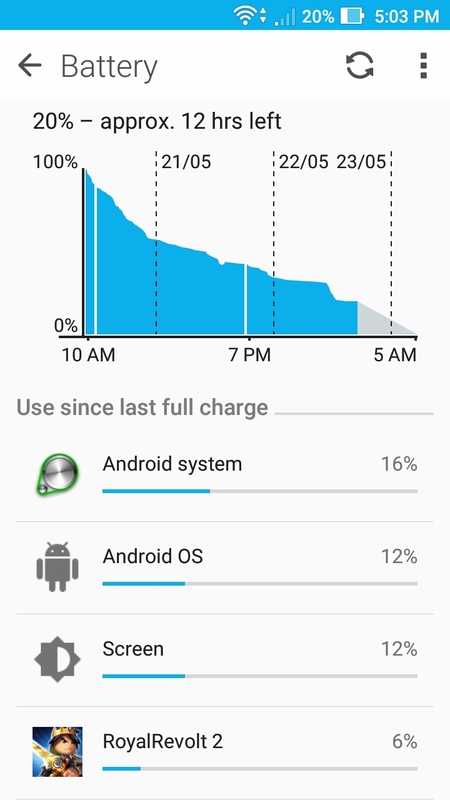 The battery performance is solid and it easily takes you to 2 full days in a moderate usage. The phone also has smart battery mode, in this, the phone automatically change the phone into different battery modes. You can also schedule battery modes switch based on the time which is very useful. There is no fast charging technology so you have to wait longer to fully charge your battery. In fact since last week, I’m yet to charge my phone to 100%. Because there is no fast charging, I always pull the charger in the middle. Asus did the brilliant work with the Zenfone Max, the phone has many features which are enough to challenge other players in this segment. Asus keep the Indian consumers in the mind and design the phone according to their needs which are Battery & Camera. The phone 5000 mAh battery works superbly and those who want the phone with decent battery life should go for this. The phone also features Fast Charging so you don’t have to bother about the charging hours. The only downside I noticed is the memory issue in 2GB RAM variant. However, they have the 3GB variant as well. In some scenarios, the phone lag because of lack of memory. Asus did the brilliant work with the Zenfone Max, the phone has many features which are enough to challenge other players in this segment. Asus keep the Indian consumers in the mind and design the phone according to their needs which are Battery & Camera. The phone 5000 mAh battery works superbly and those who want the phone with decent battery life should go for this.